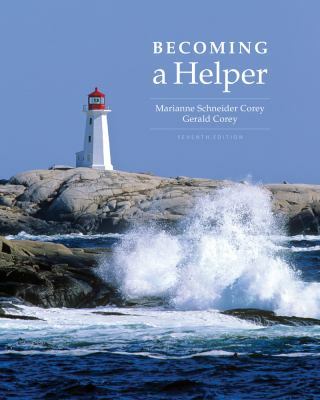 Ideal for anyone embarking on or considering a career in the helping professions, BECOMING A HELPER, Seventh Edition, provides an overview of the stages of the helping process while teaching readers the skills and knowledge they need to become successful helping professionals. Drawing on their years of experience, Corey and Corey focus on the struggles, anxieties, and uncertainties often encountered on the road to becoming effective helpers. They also emphasize self-reflection on a number of professional issues. Finally, the authors help readers decide if a career in the helping professions is right for them by asking them to take a candid look at the demands and strains they'll face in the field.